What if you could give yourself a raise this year? While you may not be able to control your income, you can control how you spend it. 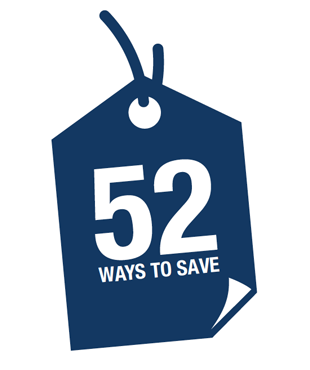 The 52 savings tips in this unique eBook are designed to help you establish new spending habits on a weekly basis. As you implement these tips, you may be amazed at how much you can put towards both your short and long-term financial goals. You may be able to give yourself as much as a $10,000 raise. Whether your finances need a fresh start or you simply want to fine-tune your budget, request your free eBook and start saving today.